For each "spider", cut cake in half crosswise. On two dessert plates, arrange bottom half cut-side-up. 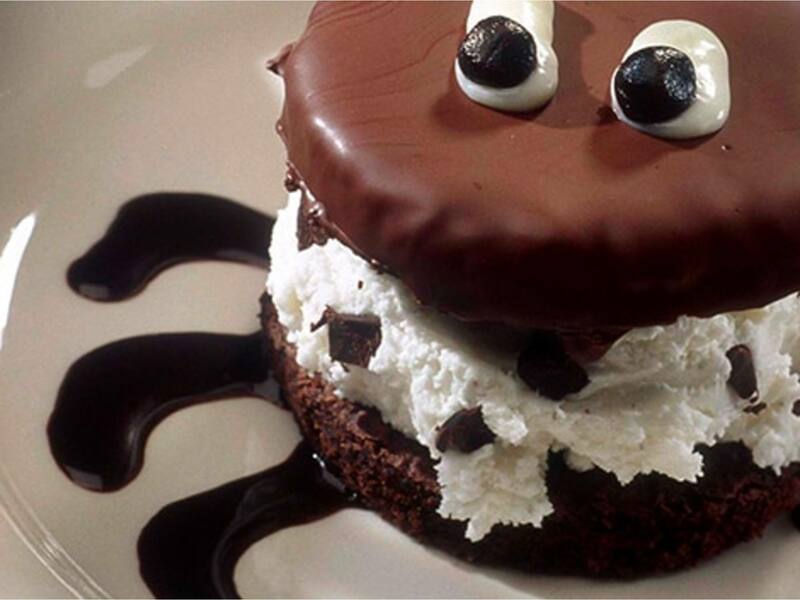 Top each with 1 scoop Breyers® Original Mint Chocolate Chip Ice Cream, then remaining cake half, frosting-side-up. Use two small dots marshmallow creme and candies for "eyes". Drizzle chocolate sauce on plate for "legs". Serve immediately.